An attractive solution for gas and flame detection needs, the Oldham MX 62 is a modular and flexible controller that is easy to install and reduces operational costs. The MX 62 system meets the requirements of ATEX 100 A and offers the high level of security required by SK2 and SIL3 rated systems. 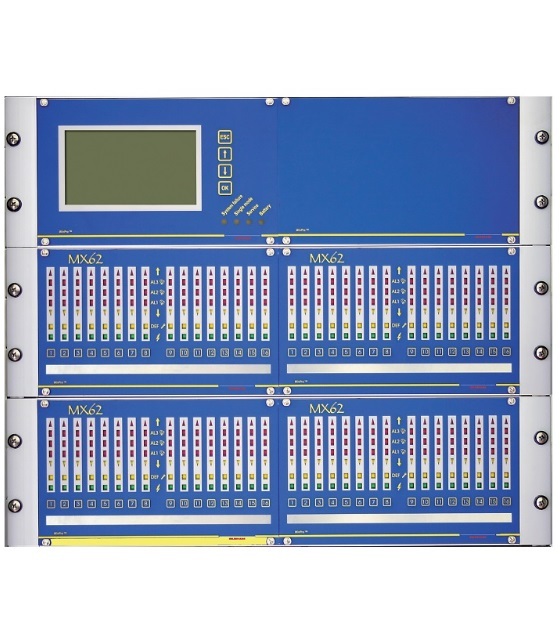 The structure of the MX 62 system has been developed to provide redundancy. Reliable data is passed quickly from the detectors to the relays. The ConfigPro.exe software configures the MX 62 through a secure, password protected interface. The CPU module is the heart of the system, with backup power supply and two processors. Plug in the LED and LCD modules, or remote connection via RS485 (4 wires + shield). Analog signals from the detectors to be input into the control system. Dual converters ensure reliable and redundant operation.